Legendary Nights - The Tale of Gatti-Ward HD Blu-Ray. 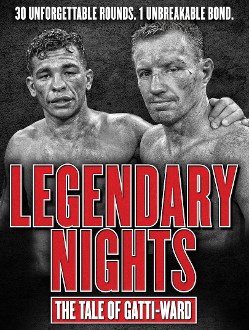 The brutal trilogy of light-welterweight fights between Arturo 'Thunder' Gatti and 'Irish' Mickey Ward is the focus of this documentary. Revisit their epic battles while learning of the enduring friendship that was forged by this pair of hard-hitting prizefighters.